You are currently browsing articles tagged haarp. For the past several nights HAARP has been quite active. 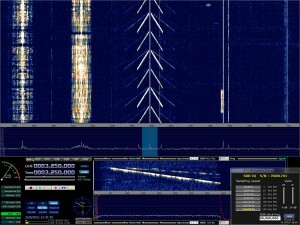 Last night it was monitored on 3250kHz with different tones/sweeping carriers. 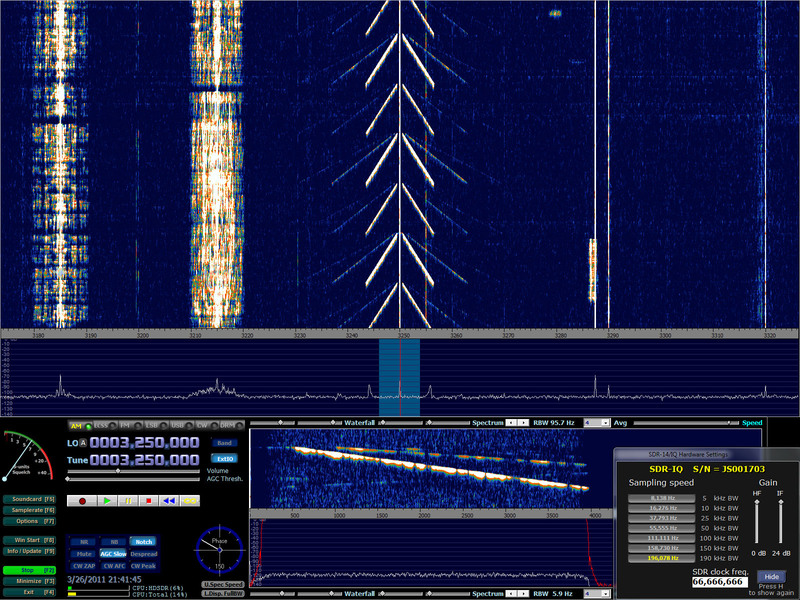 Very interesting stuff, especially when viewed on the SDR waterfall. Check out the 3 screenshots below (click for larger view). To see when HAARP is active check out their excellent 36-hour Spectrum Monitor Waterfall Chart. Here is another screenshot and audio clip of HAARP. This was recorded on March 28, 2011 from my location in SoCal. 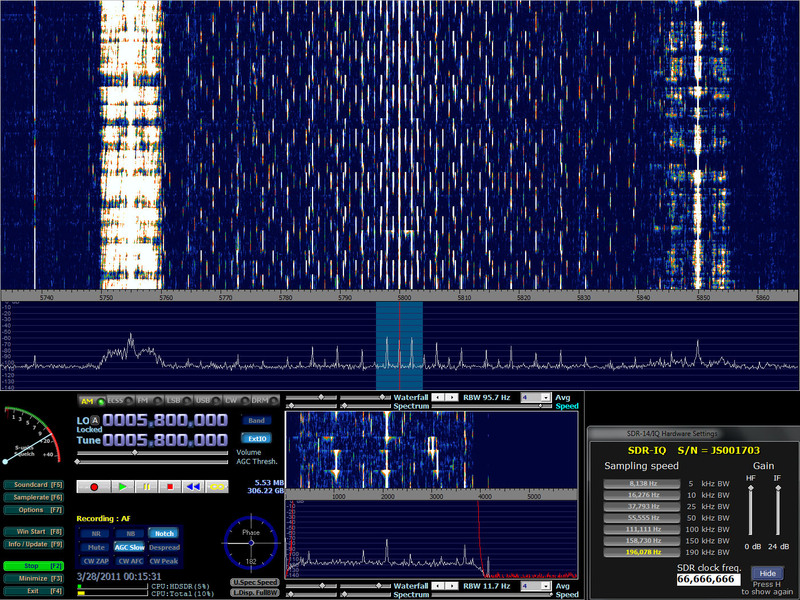 Frequency is 5800 kHz. Audio taken from 5800 kHz around the same time. 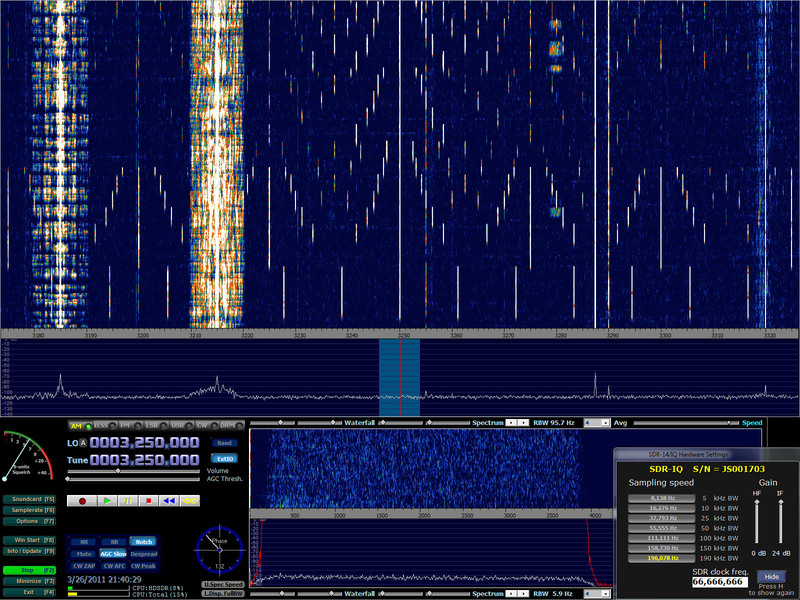 Last night HAARP (High Frequency Active Auroral Research Program) was up on 3250 kHz and received very well here in California. 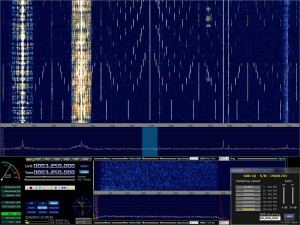 It was the first time I have been able to watch it on the SDR waterfall and it was pretty interesting to say the least. 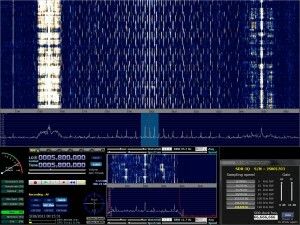 Below is an audio clip of what some of the HAARP tones sounded like.